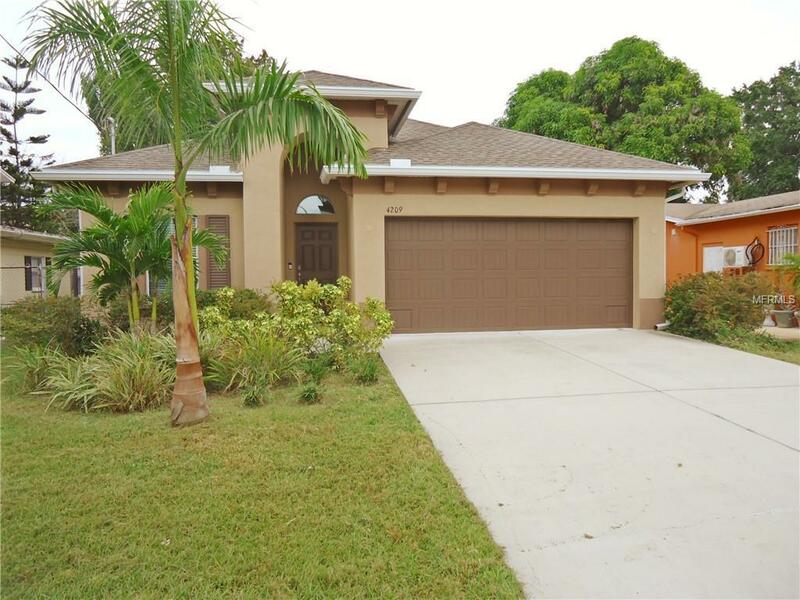 Beautiful 3 bedroom, 2 bathroom home with a den, large lanai and high ceilings throughout is move in ready. This home makes it possible to live near your work and offer all the convenience of shopping within a short walk including International Plaza, Target, Whole Foods and several restaurants. Home is less than 3 years old and comes with All LED lighting along with several dimmers and fan controls throughout. It includes a professional installed "wired security system, pest control tubes in the walls and an Ecobee thermostat for lower electric bills. It is also pre-wired for a pool and has plenty of space in the backyard to add the pool of your dreams. This location is on the best block in the neighborhood and along with all the shopping it is also walking distance to Roland Park K-8 School magnet school.